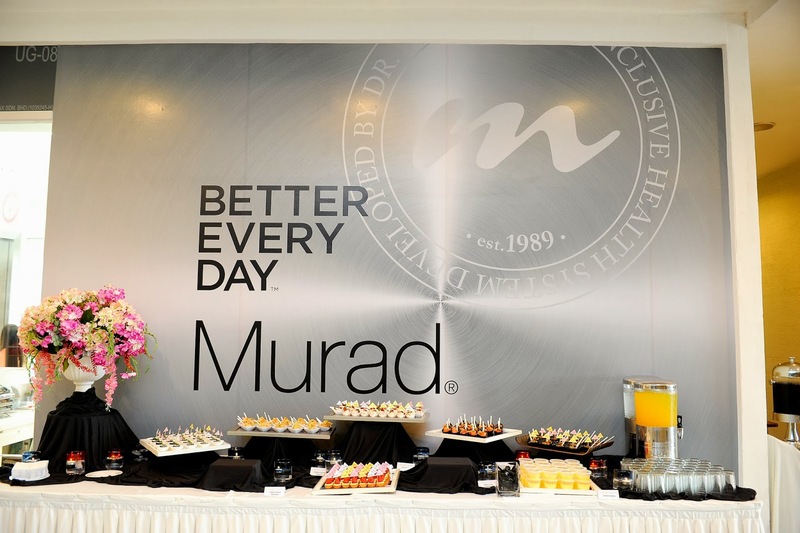 Murad is a true dermatologist and leading skincare brand that began with prescription formulas developed by Howard Murad, M.D., Associate Clinical Professor of Medicine at UCLA and founder of Murad Inc. since 1989. Dr. Murad is a pioneer and leading innovator in the skincare industry. Over twenty years later, Murad products still feature clinical-strength ingredients blended into proprietary recipes that are so advanced, Dr. Murad and his product development team have been awarded eighteen unique dermatology-related patents. 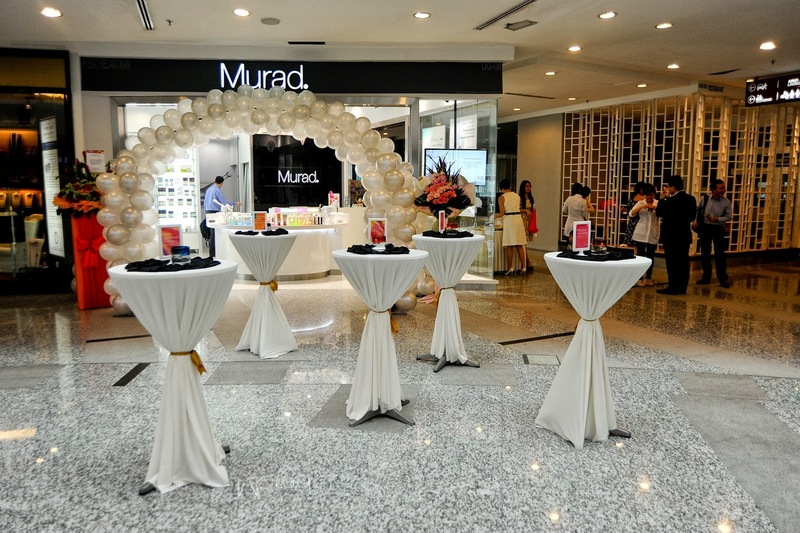 Murad is opening its doors to cater to the growing needs of its customers by introducing exclusive Murad Outlets, first outlet in Damansara Uptown and now the second outlet opening in Empire Subang. These outlets integrated the revolutionary Water Principle and Inclusive Health approach created by Howard Murad, M.D. Every Murad Outlet provides professional Murad treatments combines a high concentration of active ingredients with the healing power of touch, providing results far more advanced compared to what you can achieve with homecare alone. Combining the best of topical care and emotional care, a Murad Personalized Treatment is the ideal way to nourish your skin. The first step is a skin assessment by a certified Skin Health Therapist trained by Murad. We then provide personalized solutions, because one size doesn't fit all. Dr. Murad has created 13 distinct product lines to address every skin concern. Murad skin care solutions are organized into easy-to-use three-step regimes, with each product clearly marked to indicate the order of use. 1 Cleanse/Tone. 2 Treat/Repair. 3 Hydrate/Protect. Inspired by Dr. Murad's research confirming that a whole person approach offers the ultimate path to restoring health and beauty from the cellular level up, Murad products are clinically proven to rapidly resolve common skin concerns while Murad Skin Health Specialists help empower people to not only Look Better through topical care, but Live Better and Feel Better by guiding them to make everyday choices that support their overall skin health. Murad can make that promise of transformation which confidence because all Murad products and services are based in The Science of Cellular Water, the world's most comprehensive approach to understanding the health and aging. The Science of Cellular Water looks at the ability of cell membranes to hold water within cells as the fundamental marker of youthful good health. "Helping as many people as possible achieve healthy skin and live happily is one of the goals on which I have based my research, my medical practice and my life," said Howard Murad, M.D., FAAD, Associate Clinical Professor of Medicine at UCLA and founder of Murad Inc.
Murad carry all of Murad's 12 solution-based skincare categories, specifically formulated with the Murad recipe of antioxidants, anti-inflammatory and hydrators, to deliver glowing, healthy and hydrated skin. These 12 categories include: Blemish Control, Anti-Aging Acne, Resurgence, Age Reform, Environmental Shield, Redness Therapy, Bodycare, Murad Man, Age-Proof Suncare, White Brilliance, Hybrids and Pore Reform. Murad is used and recommended by over 30,000 professionals all across the globe and is sold in over 40 countries. For more information go to Murad.com.my, MuradInclusiveHealth.com, Facebook.com/murad.malaysia.